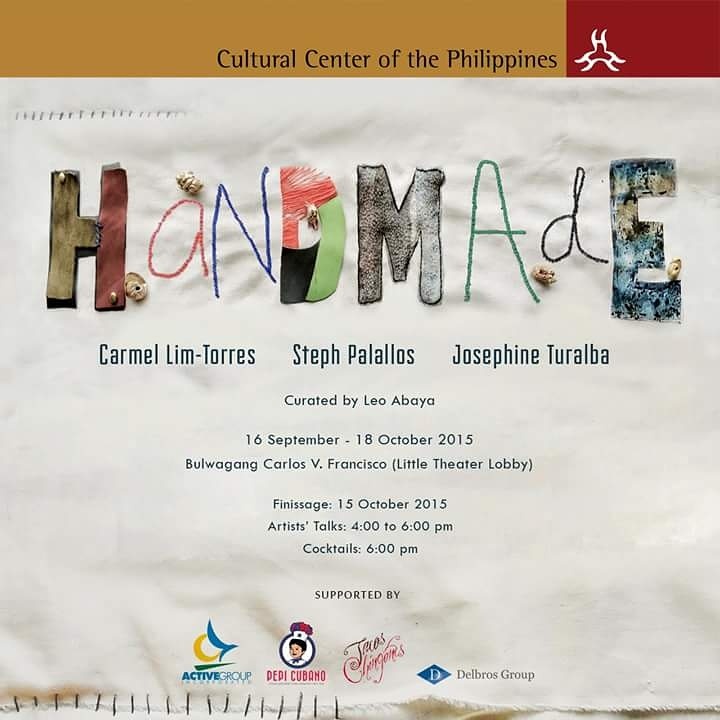 Handmade is a group show comprised of works by Carmel Lim-Torres, Steph Palallos, and Josephine Turalba. Lim-Torres invites the audience to use pieces of her artwork as symbols of hope. Palallos focuses on how an invisible illness becomes part of one’s quotidian identity. Turalba explores the use of cut-outs to contemplate on her recent experiences of places as transient spaces. Awesome, Steph! Wish I could be there, and I hope you share photos!